The mayor and city council members meet at city hall. 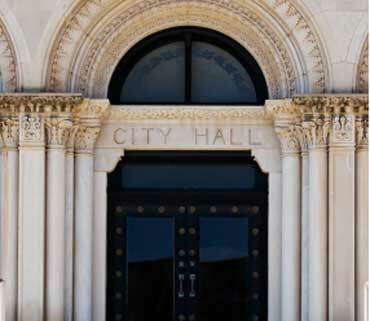 Residents can pay parking tickets or water bills at their local city hall. 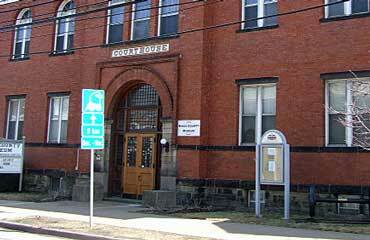 Judges and lawyers work at a courthouse. Criminals are tried at a courthouse. 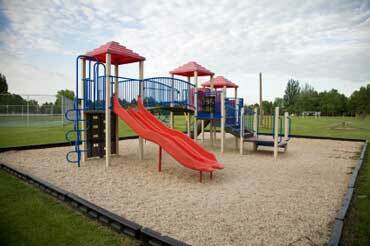 Most communities have a playground at the park. This playground has slides, a ladder, steps, and sand.